Music Lovers – There is a fantastic lineup of Festivals in May 2018. Get your Best Festie Friends & head to your favorite, or if you like different styles & and artists, pick based on location and getaway for some guaranteed music fun. & ADVICE FOR AN item to take that makes every festival way better girls! Founded in 2013 to bring an annual indie music festival to Atlanta, GA. The festival is happening May 4-6, 2018. It’s a festival more focused on the music and not other attractions that accompany some of the big USA fests. It is gaining speed and has grown from a two-day to a three-day festival with attendance growing each year. Since it’s in metro Atlanta, it is easy to travel to, but there is no festival camping. Head to Memphis, TN the weekend of May 4-6 for Beale Street. This festival is now in its 41st year and continues to attract fans from all over for a full list of eclectic artists. It draws a crowd of about 100,000 over the three-day fest. It takes place on the banks of the Mississippi River & it’s history traces back to the 1800s, when African-American musicians throughout the South would come to Beale Street and perform. No camping at this festival but plenty of good music and other touristy things to do around Memphis for a fun weekend. If your taste is EDM then you’ll want to hit Atlanta, GA the weekend of May 11 – 13, 2018 for some EDM madness! 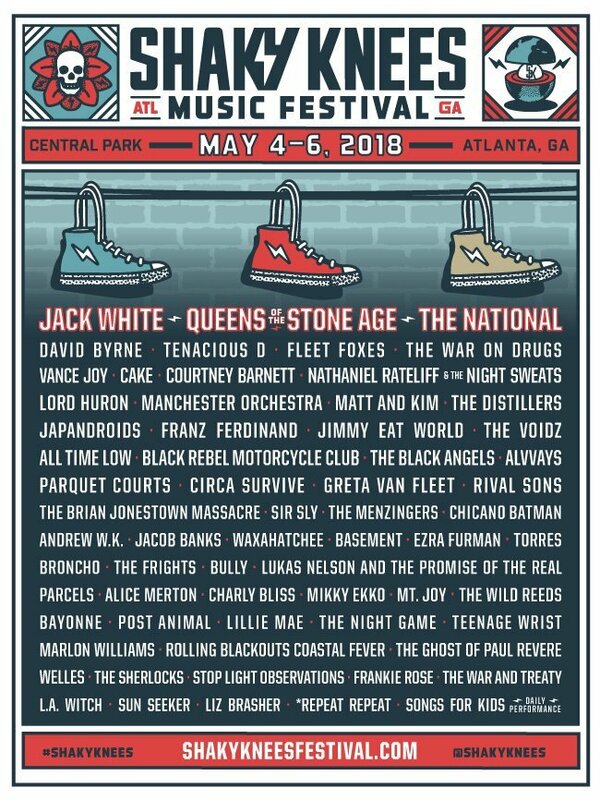 This is a sister fest of Shaky Knees. The founders introduced similar festivals to Atlanta exploring different genres of music and began Shaky Beats festival in 2016. The festival is in its third year now and surely will not disappoint. This is metro Atlanta – easy to get to, but no festival camping. Merging its funky desert style and focusing on up-and-coming artists, this three-day, family-friendly festival is a global music experience. 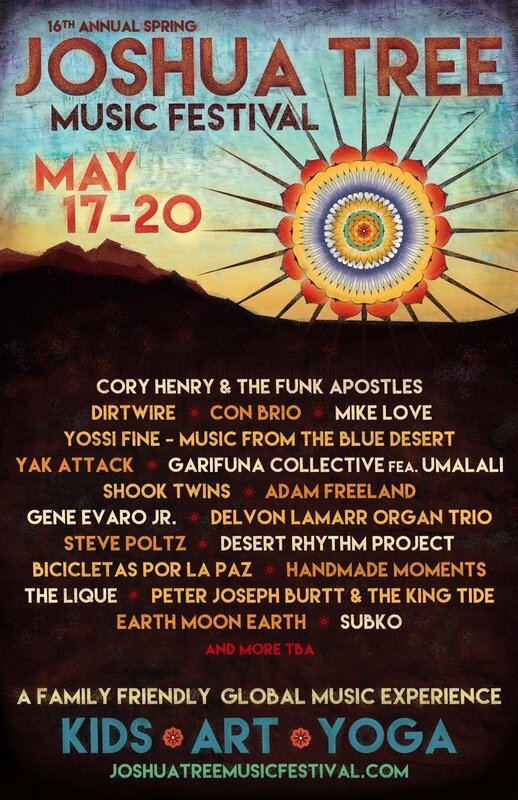 Joshua Tree Fest is May 17-20, 2018 in Joshua Tree, CA. This desert fest founded in 2003 melds music, art, kid activities, yoga classes, and more to inspire and intrigue attendees. So, for an intimate and relaxed positive festival vibe, head to Joshua Tree and camp on the outskirts of Joshua Tree National Park. Las Vegas, NV is home to the biggest celebration for electronic dance music lovers, EDC – Electric Daisy Carnival. This mega three-day fest draws about 400,000 ravers that head to Las Vegas for the festival, which features many top EDM DJs. 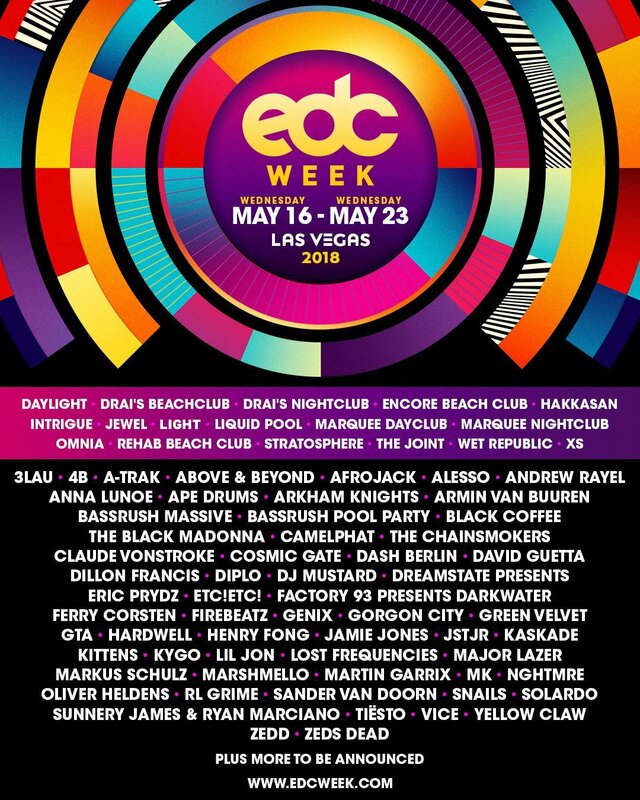 EDCLV will take place May 18 – 20 this year. The festival has moved from June to May in 2018 to hopefully bring the brutal temperatures down a bit. The flagship festival is Vegas style with over the top EDC entertainment. Also, the festival will offer an on-site camping option for the first time this year! On the beach of Gulf Shores, AL. 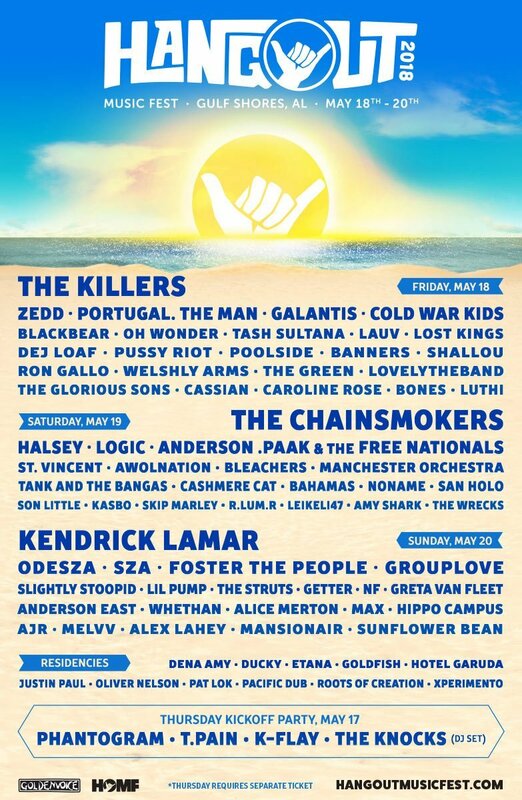 This beach theme good vibe three-day festival May 18-20, 2018 features many genres of music, including rock, indie, hip hop, and EDM. Hangout Fest began in 2009 and continues to sell out to about 40,000 attendees. No camping at this festival but plenty of water view condos to rent together with friends to make this a great place to meet up for the weekend. 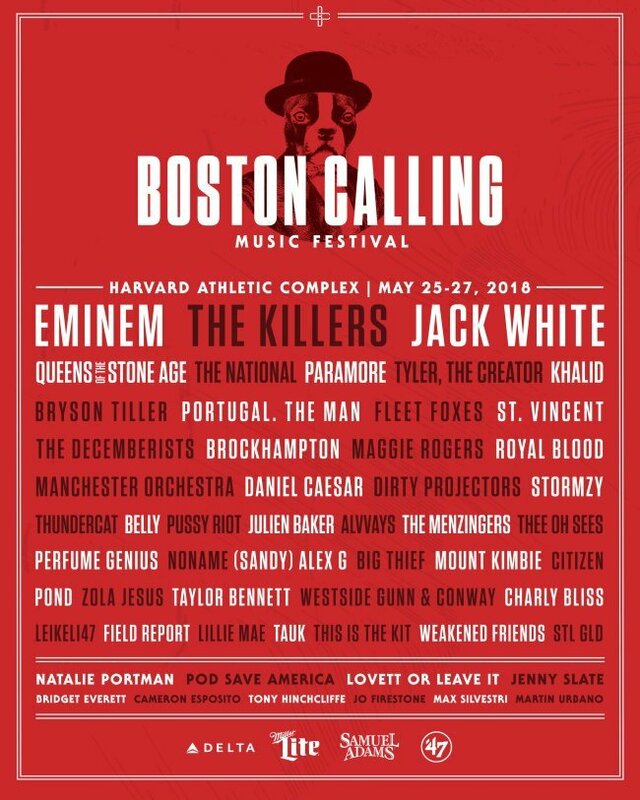 This festival made its debut 2013, Boston Calling previously took place twice a year, but has transitioned now to one festival per year. The location is Allston, MA the weekend of May 25-27, 2018. This festival grew last year to about 40,000 attendees which was about 20,000 more than the previous year. Organizers received a lot of criticism last year for not scaling the festival for size and they have promised to make the necessary changes to create a better environment for festival-goers this year. It’s a great Lineup for 2018! 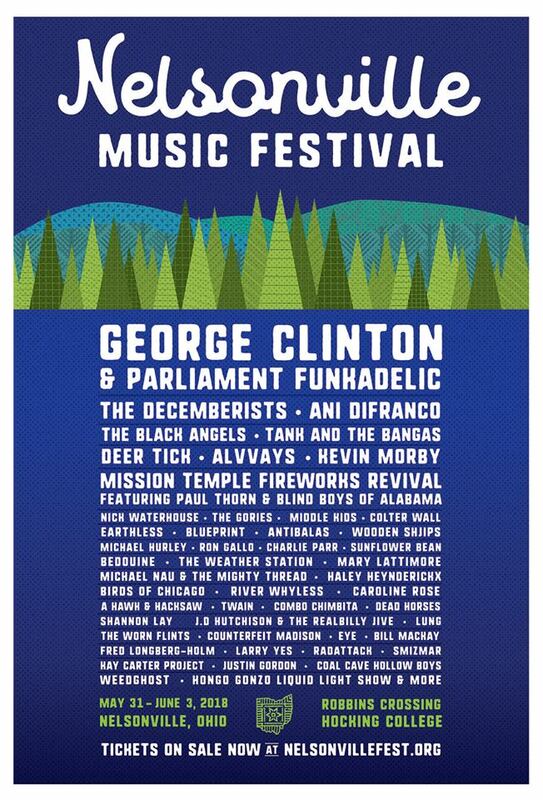 Sasquatch first began in 2002 in Quincy, WA. Its grown to be one of the most popular festivals now in the country. 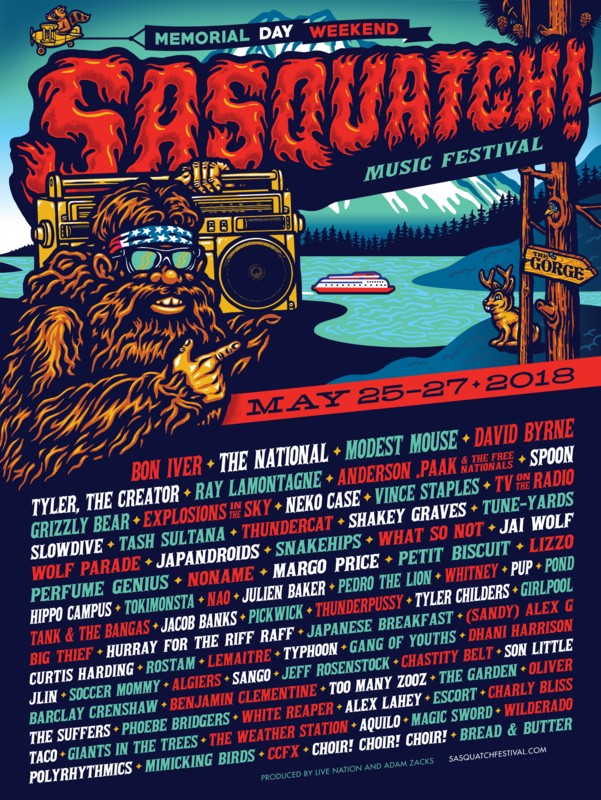 The festival takes place this year May 25-28 & features a range of musical genres, with the emphasis being on indie rock bands and singer-songwriters, but also including EDM, alternative rock, and hip-hop. This is drive to the destination & camp festival, not near big metro areas. The pretty nature backdrop makes for a great setting for this popular camping festival. Now in its 7th year another Florida festival that takes place May 26-27, 2018 over Memorial Day weekend in Tampa, FL returns. 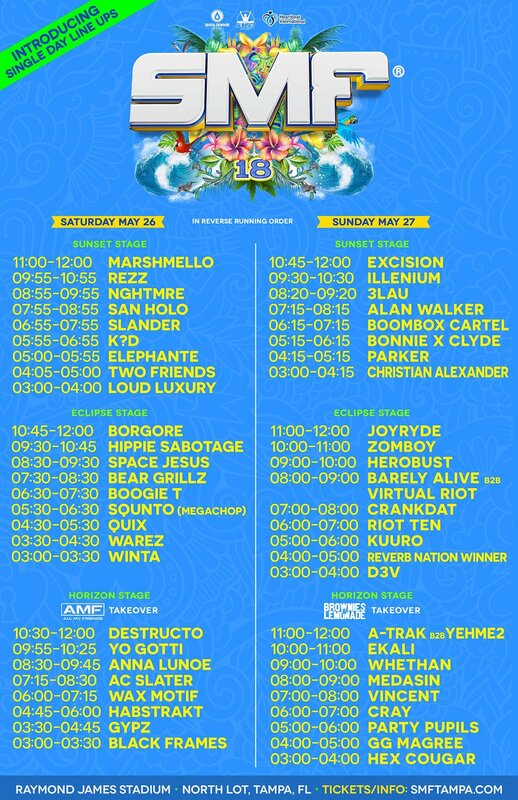 A two-day festival in celebration of the best DJs in EDM (electronic dance music). With a superior audio set up and premier visuals. Not sure what the drama was with the Chainsmokers that were announced and then pulled. But still a great lineup. Tampa is a great place for a long weekend, hit the fest and the beach too. Want to go to a small festival in a rural area and camp for the weekend? Then head to Nelsonville, OH – May 31 – June 3. This local festival was started in 2005 and is now up to being a four-day fest with over 60 bands. I haven’t been there yet, but have read that it’s been called Ohio’s own modern-day little Woodstock, where the living is easy, the mood relaxed – and where the musicians mix and mingle with their fans in the rolling hills of Appalachian Ohio. This is not a super hip festival which the attendees say is what makes it totally cool. The cap out is around 7,000 attendees. 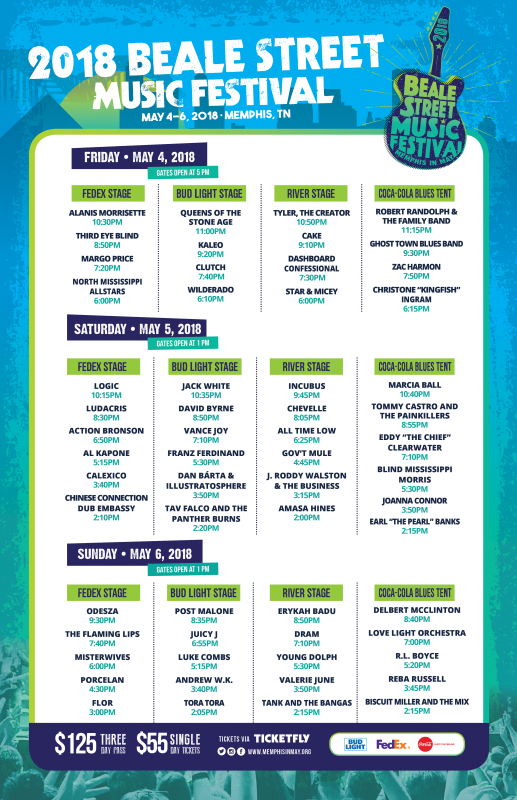 Aka – The Great American Music Fest at Daytona, FL is May 25 – 27, 2018. Daytona International Speedway, the “World Center of Racing,” will again become the World Center of Entertainment over Memorial Day weekend. Country 500 attracted 75,000 country music loving fans from across North America to Daytona for last year’s celebration. 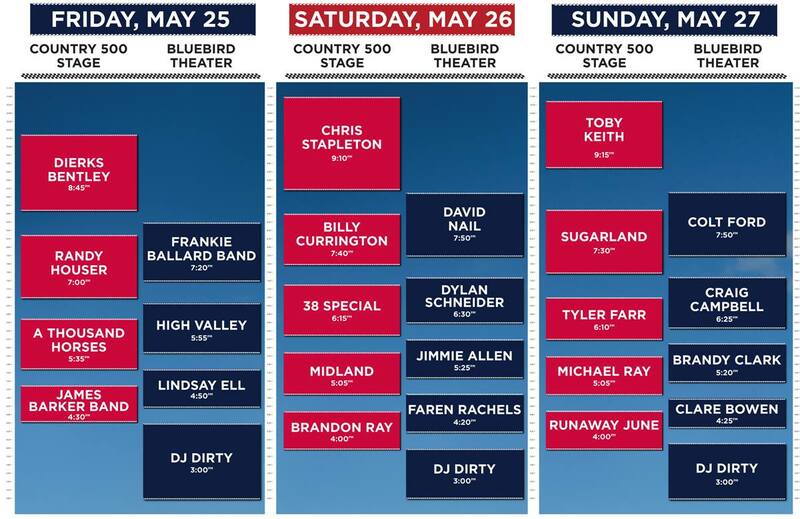 The iconic speedway music fest is back for the third year with some of the biggest names in country music. 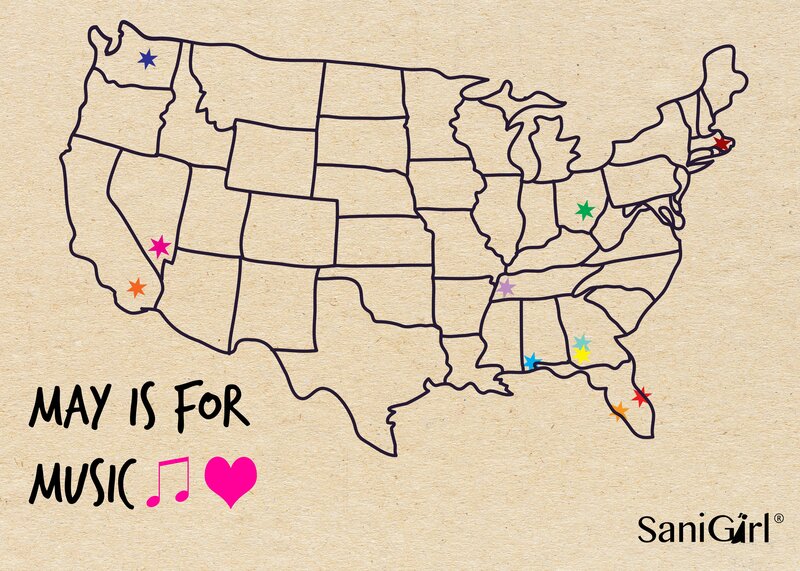 The Great American Music Fest is sure to be an unforgettable weekend of music, camping, and fun. Stay an extra day to be sure to hit the wide and beautiful beaches of Daytona. The restrooms – AKA – Portapotties. 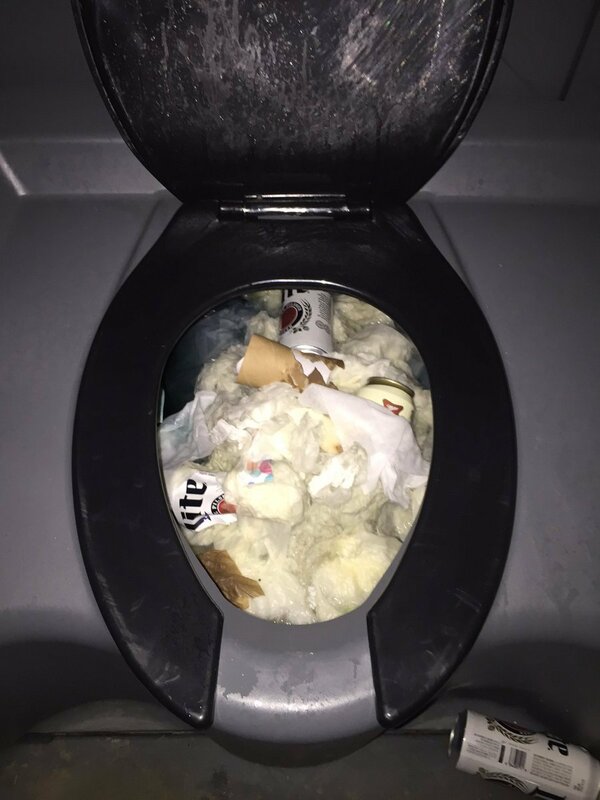 It’s no lie that bathrooms at festivals are unsanitary to say the least! And yes, they pretty much all look like this actual picture below taken at a festival last May that is written about here. Sometimes festivals are so bad on health and safety that they get bombarded with negative tweets & posts on SM. 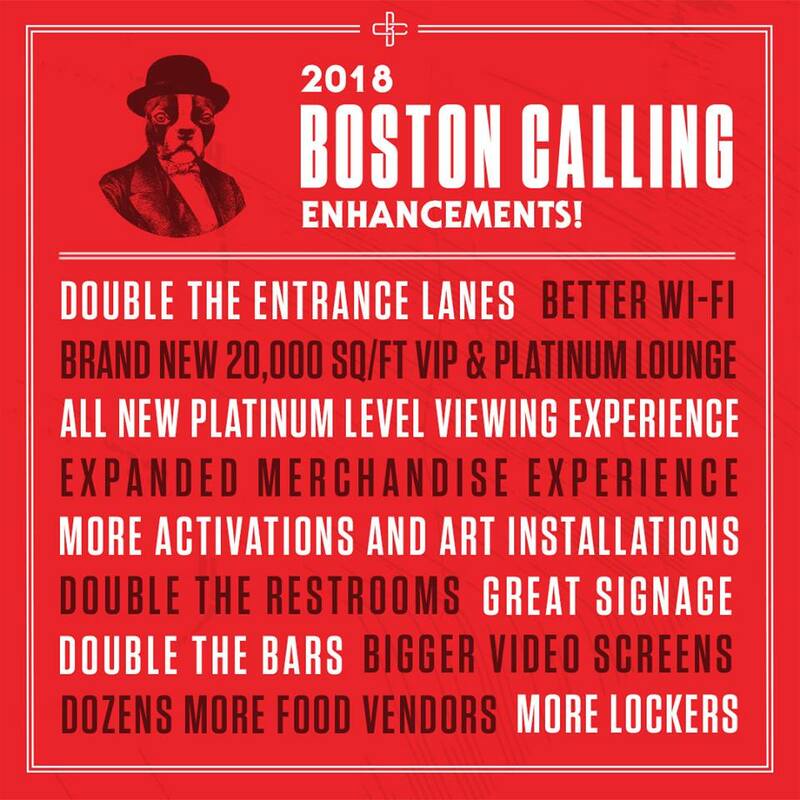 Sometimes 🙂 this can cause them to make enhancements for the next festival – yes like the one I included here from Boston Calling 😉 The only option to a better bathroom should not be paying an extra “G” for VIP$, to have upgraded facilities. 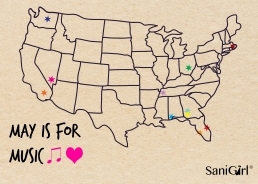 THE BEST OPTION AWAY FROM HOME IS TO simply take SaniGirl with you! The product that will keep you clean and happy away from home. SaniGirl sanitary pee funnels give women and girls total peace of mind. Carry SaniGirl and know you can avoid germs and unwanted exposure. Great for traveling, music festivals, camping, hiking, boating, & the restaurant or bar down the street, you can just stand at ease. No more squatting, dirty clothes or sitting in unsanitary conditions. Stay clean — be happy — don’t worry!